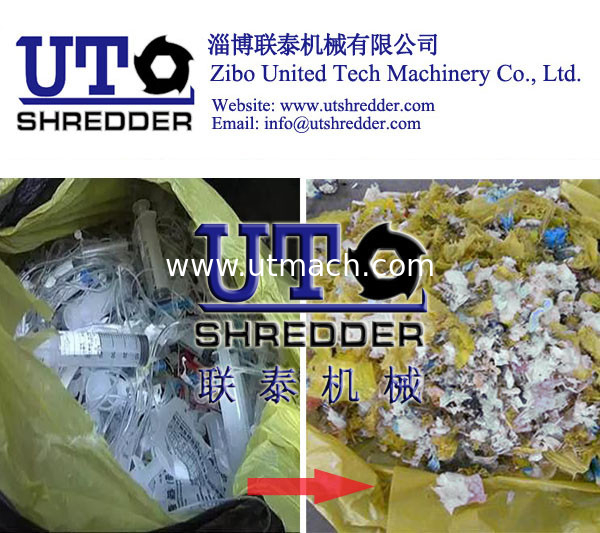 Our medical waste shredder adopts planet gear speed reducer driving; the blade is made of high-strength alloy steel, featured by strong abrasion resistance and high strength etc. ; differential operation between axes has the functions of tearing, extrusion and occlusion, etc. 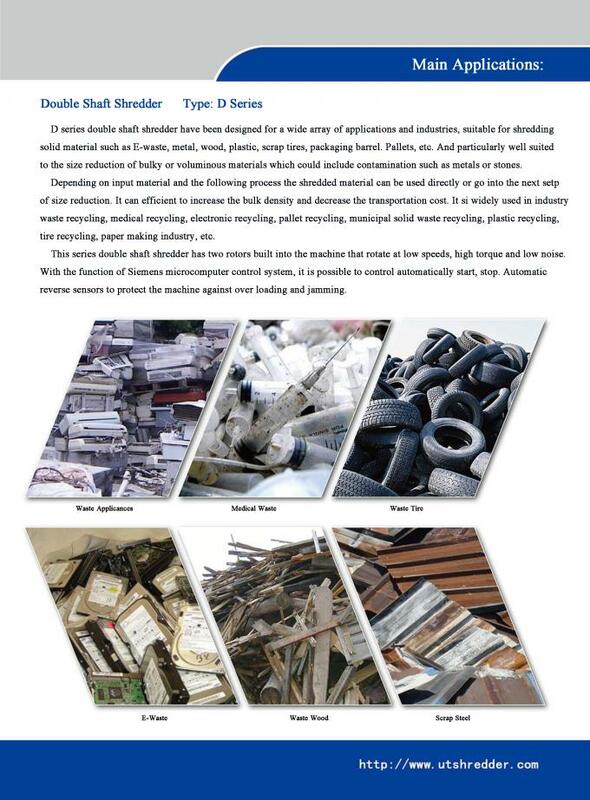 It is specially designed and suitable for shredding medical waste materials such as discarded medical cotton, plastic syringe, glass bottle, plastic bottle, packing bag and waste plastic, etc. with the output up to 100-10000kg/h. Professional design can be provided as required by customers. 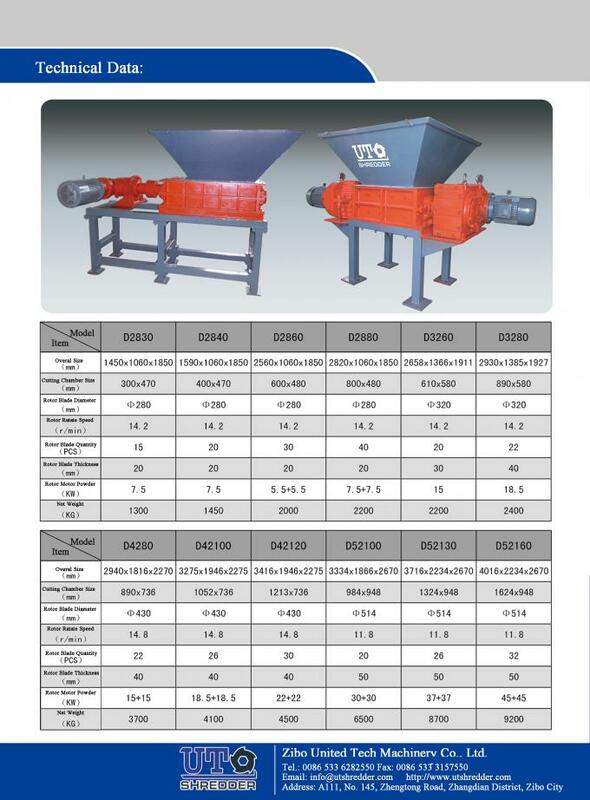 It has the advantages of uniform discharging, controllable size, high output and low noise, etc. 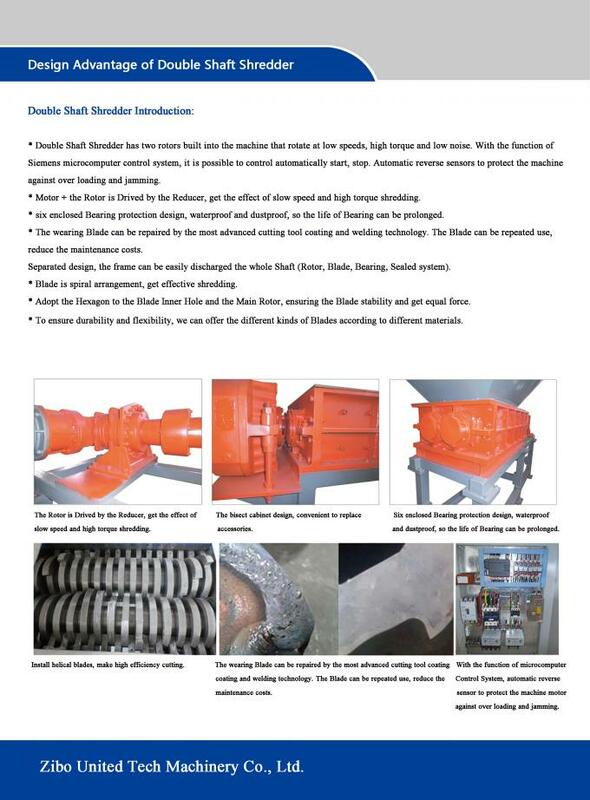 Motor drive reducer through the bevel gear transmission, drive the rotor shear rotation at low speed. Was uniform distribution on the rotor after material into the cutting board with the stator cut board of space, material cutting board with the stator cut by rotor plate extruding and shearing and crushing, after crushing material discharge from the bottom of the crusher . 1.High efficiency, energy saving, environmental protection. 2. Product design advanced and reasonable structure. 3. The shear strength, discharging fine granularity. 4. Speed is low, stable and reliable use. 5. Discharging granularity is adjustable, wide application scope. 6. Bearing adopts 6 seal protection, long service life. 7. Shear plate wear small, long service life.